2000-2014: Specialist (hematology) in Damascus Hospital, Syria. 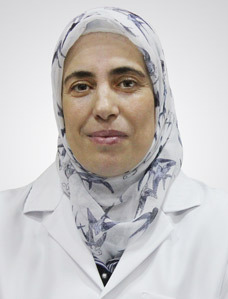 2001-2003: Consultant (hematology) at Thalassemia and Hemoglobinopathy Centre in Damascus. Treating both benign and malignant blood diseases. Blood transfusions and its complications. Treatment of sickle cell anemia and thalassemia and its complications. Administrating hematologic treatments including: plasmapheresis, iron infusion.